Safari is offering $1,000 off any Captain Only Charter beginning in July - October. 7/8 Pax - Inquire for kids only. 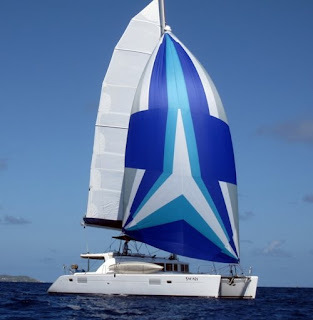 Safari is a 2008 Lagoon 440 Catamaran featuring four individually air conditioned queen staterooms, each with its own private head & shower. The design and decor is one of openness, featuring several distinct living areas for your relaxation and enjoyment. From the fly bridge helm with its 360 degree view, to the spacious air conditioned salon, bow seats & trampoline, or the large covered cockpit with mini bar & Ice maker, each guest will find a favorite spot to relax and enjoy. On Safari you are free to choose the vacation that suits you. Whether you seek action and adventure, beach combing and sunbathing, or shopping and sightseeing, no expense has been spared to deliver the vacation you have been dreaming about. Captain Ed West with his many years of experience, and extensive knowledge of the islands, will be your personal guide. If you would like to re-visit fond memories of the islands, or create new ones, Captain Ed can make it happen! Here in the Caribbean, the water is warm, the skies are blue, the stars are bright, and the people are friendly. Let us show you! Click here for more charter information.